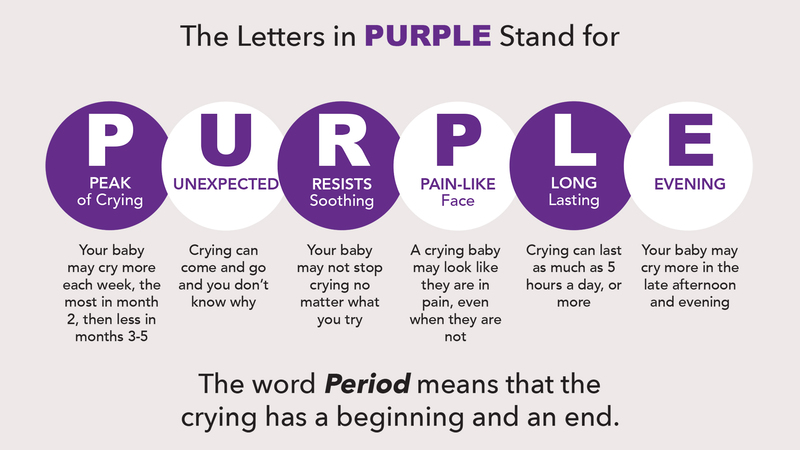 What is the Period of PURPLE Crying program? 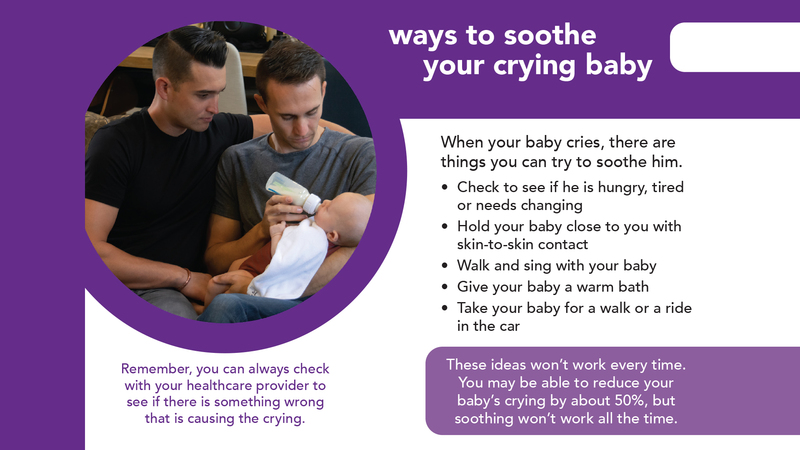 The program approaches SBS/AHT and infant abuse prevention by helping parents and caregivers understand the frustrating features of crying in normal, healthy infants that can lead to shaking or abuse. The program provides the opportunity for parents to learn about the crying characteristics from over 50 years of research on normal infant crying conducted by Dr. Ronald G. Barr, and other scientists worldwide. What are people saying about the PURPLE program? Read testimonies from parents and healthcare professionals using the program first hand. 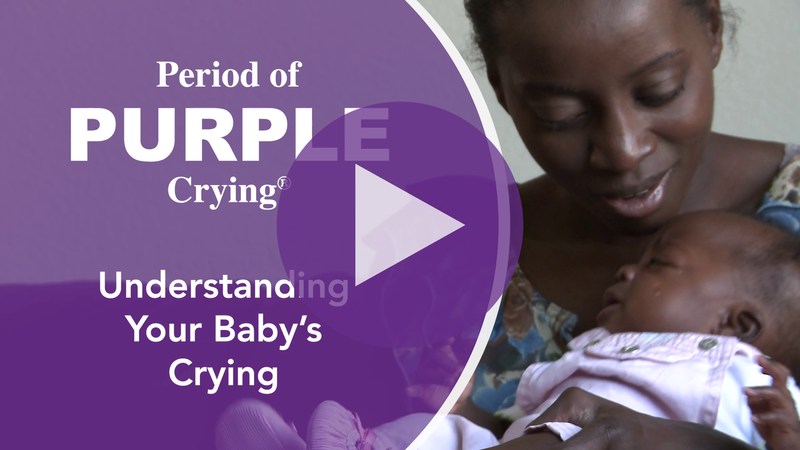 The Program Overview will guide you through the steps to implement the Period of PURPLE Crying program in your organization. A website for parents that offers additional information written by world renowned, published child development experts. 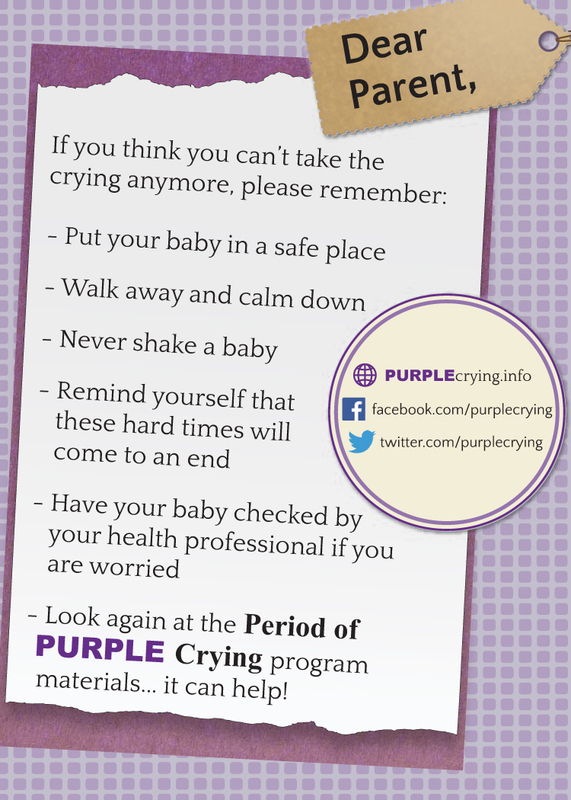 Click to view a map of locations where the Period of PURPLE Crying program is being distributed to parents and caregivers. What is CLICK for Babies? 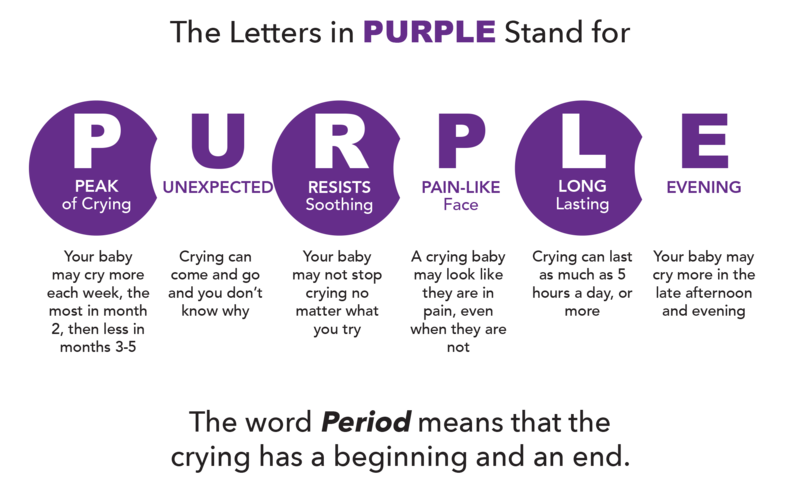 CLICK for Babies is a public education campaign to increase awareness and educate others about the Period of PURPLE Crying and the importance of never shaking a child. During the campaign, communities donate handmade purple caps to go alongside the Period of PURPLE Crying program education materials. 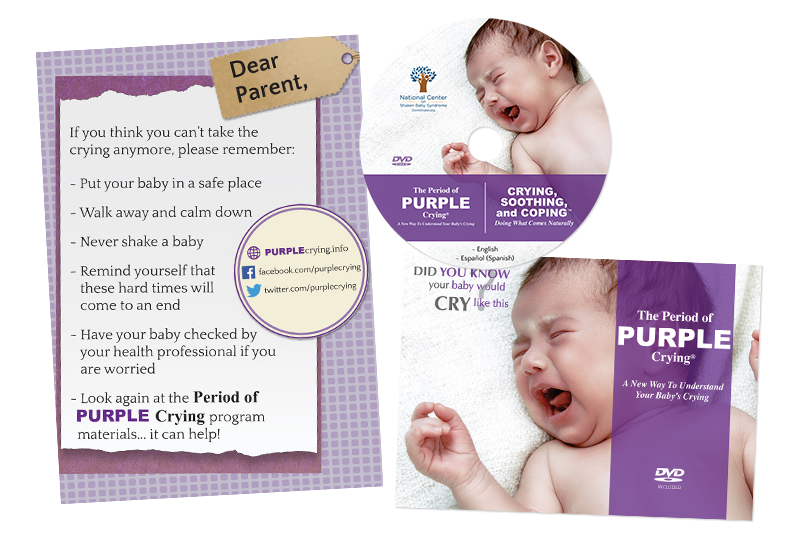 Below are a few samples from the Period of PURPLE Crying video, booklet and reminder card and some clips from the Crying, Soothing and Coping: Doing What Comes Naturally video. Over the last several years, the body of scientific research with the Period of PURPLE Crying has grown significantly. The NCSBS and our partners are committed to continuing to improve and strengthen the PURPLE program through on-going evaluation. Continued research with the program is what drives many of the changes and enhancements that are made to the program content and to the model. Our overall aim is build a program that is highly effective in improving parents and caregivers understanding of normal infant crying and ultimately reduce the incidence of SBS/AHT. The following is a list of published research with the Period of PURPLE Crying. This list continues to grow, so check back often for new published research. Barr, R. G., Rivara, F. P., Barr, M., Cummings, P., Taylor, J., Lengua, L. J., & Meredith-Benitz, E. (2009). Effectiveness of Educational Materials Designed to Change Knowledge and Behaviors Regarding Crying and Shaken-Baby Syndrome in Mothers of Newborns: A Randomized, Controlled Trial. Pediatrics, 123(3), 972-980. Barr, R. G., Barr, M., Fujiwara, T., Conway, J., Catherine, N., & Brant, R. (2009). Do educational materials change knowledge and behaviour about crying and shaken baby syndrome? A randomized controlled trial. Canadian Medical Association Journal, 180(7), 727-733. Fujiwara, T., Yamada, F., Okuyama, M., Kamimaki, I., Shikoro, N., & Barr, R. G. (2012). 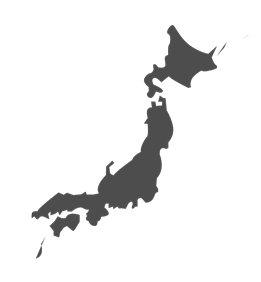 Effectiveness of educational materials designed to change knowledge and behavior about crying and shaken baby syndrome: A replication of a randomized controlled trial in Japan. Child Abuse & Neglect, 36(9), 613-620. Eight-year outcome of implementation of abusive head trauma prevention. Barr RG, Barr M, Rajabali F, et al. Child Abuse & Neglect: October 2018. Nocera, M., Shanahan, M., Murphy, R. A., Sullivan, K. M., Barr, M., Price, J., & Zolotor, A. (2015). A statewide nurse training program for a hospital based infant abusive head trauma prevention program. Nurse Education in Practice, 16(1). Zolotor, A. J., Runyan, D. K., Shanahan, M., Durrance, C. P., Nocera, M., Sullivan, K., . . . Barr, R. G. (2015). 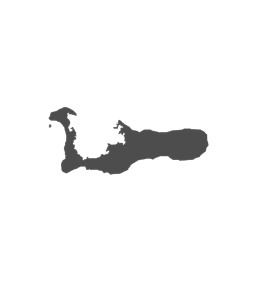 Effectiveness of a Statewide Abusive Head Trauma Prevention Program in North Carolina. JAMA Pediatrics, 169(12), 1126. Barr, R. G., Rajabali, F., Aragon, M., Colbourne, M., & Brant, R. (2015). Education About Crying in Normal Infants Is Associated with a Reduction in Pediatric Emergency Room Visits for Crying Complaints. Journal of Developmental & Behavioral Pediatrics, 36(4), 252-257. Stewart, T. C., Gilliland, J., Parry, N. G., & Fraser, D. D. (2015). An evidence-based method for targeting an abusive head trauma prevention media campaign and its evaluation. Journal of Trauma and Acute Care Surgery, 79(5), 748-755. Barr, R. G., Fairbrother, N., Pauwels, J., Green, J., Chen, M., & Brant, R. (2014). Maternal frustration, emotional and behavioural responses to prolonged infant crying. Infant Behavior and Development, 37(4), 652-664. Barr, R. G. (2012). Preventing abusive head trauma resulting from a failure of normal interaction between infants and their caregivers. Proceedings of the National Academy of Sciences, 109 (Supplement_2), 17294-17301. Stewart, T. C., Polgar, D., Gilliland, J., Tanner, D. A., Girotti, M. J., Parry, N., & Fraser, D. D. (2011). Shaken Baby Syndrome and a Triple-Dose Strategy for Its Prevention. The Journal of Trauma: Injury, Infection, and Critical Care, 71(6), 1801-1807. Shanahan, M. E., Nocera, M., Zolotor, A. J., Sellers, C. J., & Runyan, D. K. (2011). Education on Abusive Head Trauma in North Carolina Hospitals. Child Abuse Rev. Child Abuse Review, 20(4), 290-297. Zolotor, A. (2010). 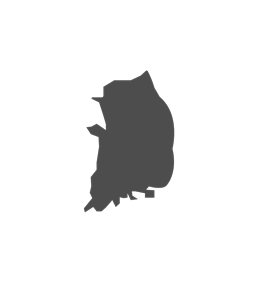 Preventing Child Maltreatment in North Carolina. North Carolina Medical Journal, 71(6), 553-555. Runyan, D. K., Hennink-Kaminski, H. J., Zolotor, A. J., Barr, R. G., Murphy, R. A., Barr, M., . . . Nocera, M. (2009). 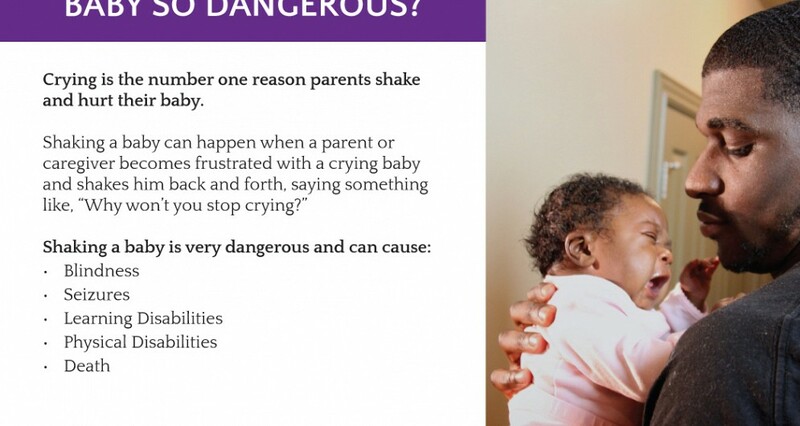 Designing and Testing a Shaken Baby Syndrome Prevention Program – The Period of PURPLE Crying: Keeping Babies Safe in North Carolina. Social Marketing Quarterly, 15(4), 2-24. Hennink-Kaminski, H. J., & Dougall, E. K. (2009). 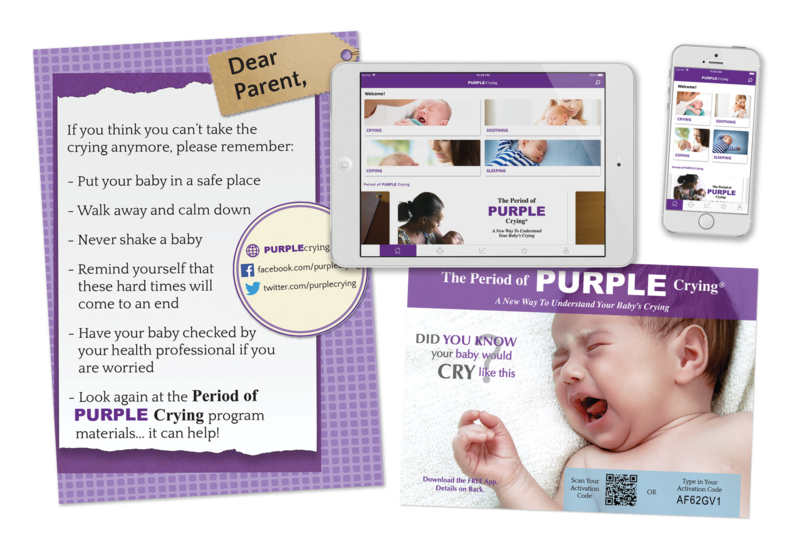 Tailoring Hospital Education Materials for The Period of PURPLE Crying: Keeping Babies Safe in North Carolina Media Campaign. Social Marketing Quarterly, 15(4), 49-64. Hennink-Kaminski, H. J., & Dougall, E. K. (2009). Myths, Mysteries, and Monsters: When Shaken Babies Make the News. Social Marketing Quarterly, 15(4), 25-48. In 2004, Dan Jones and Associates of Salt Lake City, Utah, USA were hired to conduct the United States Parent Focus Groups on the PURPLE materials. The primary purpose was to obtain in-depth understanding about attitudes regarding infant crying, what people know about SBS, and how new parents cope with incessant crying by their infants. A total of six focus group sessions were conducted on September 28 - 29, 2004. Prospective participants were screened to ensure that they had infants six months old or younger. A total of 63 people participated in the research: 42 new moms and 21 new dads. Males and females were separated by groups and represented a broad range of socio-economical and geographical areas within the Salt Lake City, Utah metropolitan area. 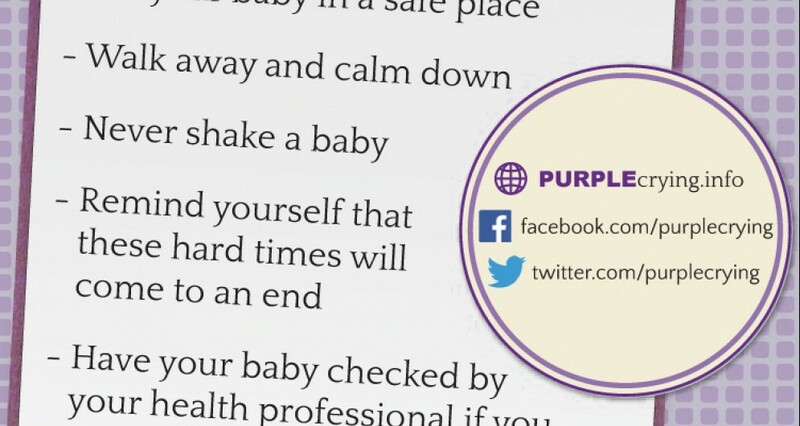 Canadian Parent Focus Groups: Prevent SBS British Columbia also coordinated the evaluation of the PURPLE educational materials from the National Center on Shaken Baby syndrome for their suitability to the Canadian culture in 2004. 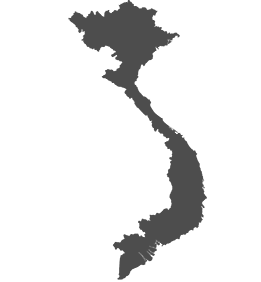 Samsara Communications was hired to facilitate the focus group presentations, to train project personnel to appropriately handle the comments from participants, and to elicit feedback from participants. 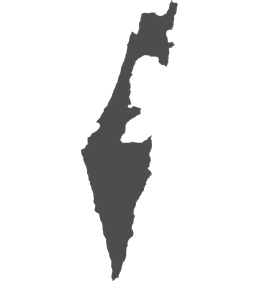 MTM Research was hired to analyze the results and report the key findings. In order to meet the objectives, 8 focus group sessions were conducted between June 1st and November 16th, 2004 throughout the Vancouver, Vancouver Island and Fraser Valley Health regions. 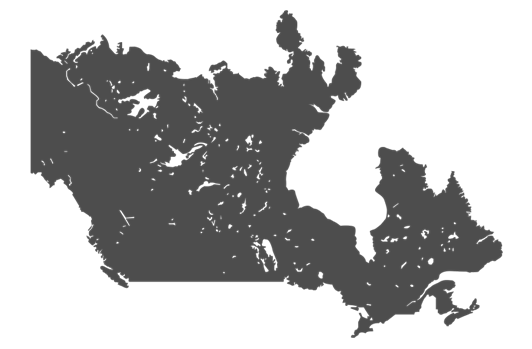 These areas included Chilliwack, Duncan, Port Moody, Richmond, Surrey, and Vancouver. A total of 66 parents (59 mothers, 6 fathers, and 1 elder) representing various backgrounds of race, economic status and family makeup participated. Participants were biological or adoptive parents of infants <6 months old (excluding the elder) and were proficient in spoken and written English. In 2011, three focus groups were conducted to gather feedback on the feelings and perceptions of the narrations and content for the newly developed supplemental film on soothing and coping strategies called Crying, Soothing and Coping: Doing What Comes Naturally. The focus groups were held in Chicago, Salt Lake City and Atlanta. 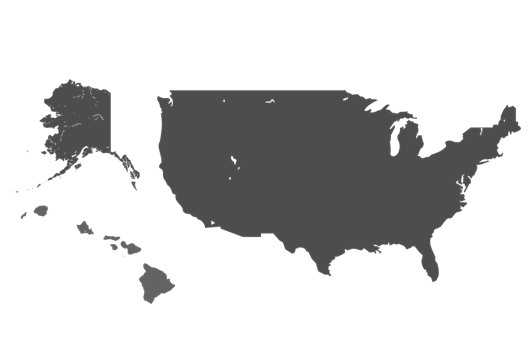 The focus groups in Chicago and Atlanta were conducted by Beall Research and Training. In Chicago, the focus group consisted of 12 fathers with children under two years of age. The age of participants ranged from 23 to 47. In Atlanta, the focus group consisted of 12 mothers with children under two years of age. The age of participants ranged from 18 to 39. Dan Jones and Associates conducted the Salt Lake City focus group that consisted of 9 mothers with children under the age of two. All focus groups were made up of individuals with diverse social, socio-economic, nationality and educational backgrounds. The feedback from these three focus groups allowed the NCSBS to refine the content and narration to ensure the film was acceptable and helpful to a wide range of parents and caregivers. A full report on the focus groups conducted for the Crying, Soothing and Coping film is available from the NCSBS upon request. Translation Focus Group Testing: Prevent SBS British Columbia and the NCSBS staff have coordinated focus groups in the process of translating the PURPLE materials into several languages. The goal of the translation project for the Period of PURPLE Crying is to receive a culturally sensitive, accurately translated product that keeps the clarity and cohesiveness of the message. There were additional measures added to ensure our specific translation project received the highest quality product. First, an initial focus group made up of five qualified and working healthcare interpreters analyzed the materials in order to provide suggestions to the translator in difficult areas. Secondly, once the unilingual parent focus group had viewed the product in the subject language and adjustments were made, an English back translation was requested from a separate translator with no previous knowledge of the product. Translation focus groups will continue to occur with each new language chosen. As of June 23, 2016, the program has been translated into the following languages: Cantonese, Punjabi, Spanish (Mexican-dialect), Korean, Vietnamese, Japanese, French, Portuguese (Brazilian Dialect), Somali and Arabic. Through the process it has become very apparent that the program messages are relevant to all parents, of all kinds of families in all the cultures included in this process. It was a very rewarding process to know the program was valued by so many. Complimentary online training for organizations that are preparing to deliver and reinforce the PURPLE program to families. Inquiring organizations may register for a preview of the program materials and training course. Social work and Nursing CEU’s are available upon completion. All partnering organizations participating in Dose One Delivery should sign and return this shared agreement. Return of this signed agreement confirms you have read and agree with the program’s Implementation Protocol. Have any questions or needs? Email or call the PURPLE team. Parents’ frequently asked questions answered. 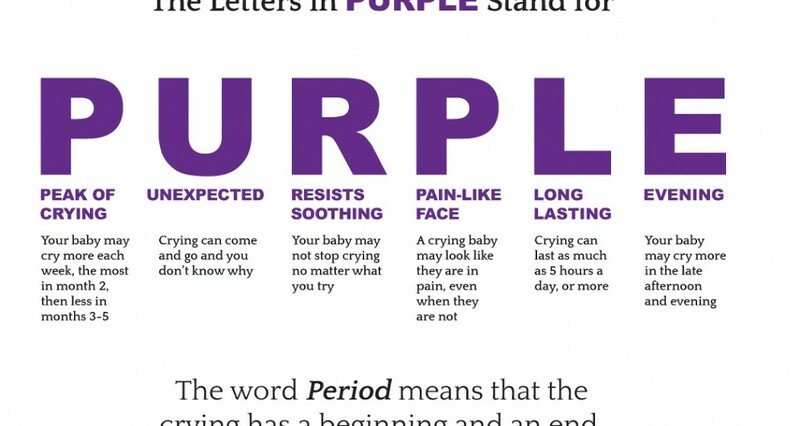 The 2018 Period of PURPLE Crying Guidebook is a complete manual to everything PURPLE. 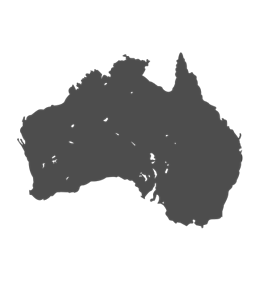 The guidebook contains in-depth information and resources related to implementation, evaluation, three-dose model, funding and much more. A summary of the program and a guide to help organizations through the steps of implementation. Describes the requirements for implementing the program according to the evidence-based model. Healthcare professionals’ frequently asked questions answered.